DJI Phantom 4 Pro is the hottest 4K drone in the market. It can record the video with H.265 codec up to 30 frames x second and up to 60 frames x second with H.264 codec. As the popularity of Phantom 4 Pro, more and more issues occurred, which mainly focus on the 4K H.265 footage. Whereas, DJI’s flavor of H.265 isn’t playing well with any editing apps including Adobe Premiere Pro, Final Cut Pro, Avid Media Composer, etc. To help so many Phantom 4 Pro owners get out of the trouble, we’d like to explores a way to import and edit DJI Phantom 4 Pro H.265 in Premiere/FCP/Avid flawlessly. Generally, the top editors Final Cut Pro, Avid Media Composer and Premiere Pro is h.265 compatible, but apparently not with DJIs version. Avid, Premiere or FCP hardly can import DJI Phantom 4 Pro H.265 files. What’s more, keep in mind that 4K H.265 footage requires a ridiculous amount of processing power if you want to edit it in its original format, unless you have a very high-end PC. A practical way to solve the issue is to convert 4K H.265 from Phantom 4 Pro to an edit-friendly format for FCP, Avid, Premiere Pro with a DJI Transcoding tool. 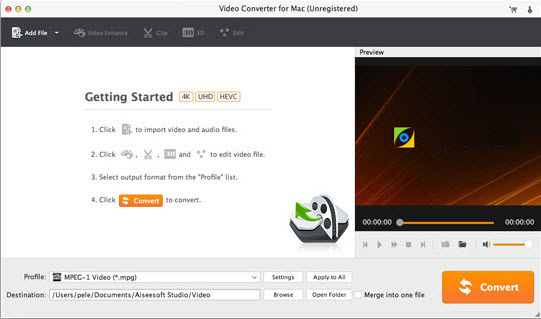 Here UFUWare Video Converter for Mac comes out to help you achieve the goal. 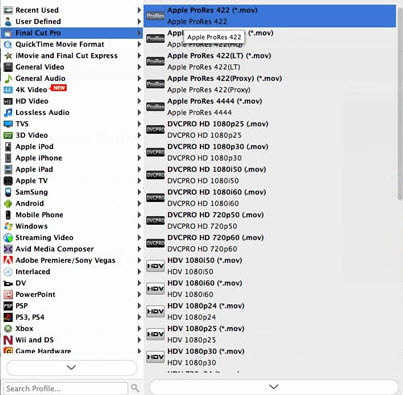 Overall, it is an easy-to-use yet professional H.265 encoder and decoder for Mac. This program features high efficiency and seamless conversion. With it, you can effortlessly convert DJI Phantom 4 Pro H.265 to ProRes for Final Cut Pro, DNxHD for Avid Media Composer/Davinci Resolve, MPEG-2 for Adobe Premiere Pro/Premiere Elements for smooth editing or playback. For encoding H.265 files on Windows PC, UFUWare Video Converter is the right choice. Download the best DJI Phantom 4 Pro H.265 converting tool and then follow the step-by-step guide below. Once run the best DJI Drone Video encoder/decoder, you can click “Add Video” button to load Phantom 4 Pro H.265 .mov or .mp4 source files. Convert supports batch conversion, so you are allowed to add multiple files to convert at a time. a. For editing Phantom 4 Pro H.265 in FCP, select Final Cut Pro > Apple ProRes 422 (*.mov) as the output format. b. To solve Phantom 4 Pro H.265 and Adobe Premiere Pro incompatibility issues, please select Adobe Premiere/Sony Vegas > MPEG-2 (*.mpg) as the target format. c. To import Phantom 4 Pro H.265 footage into Avid MC, choose Avid Media Composer > Avid DNxHD(*.mov) as the target format. 3. 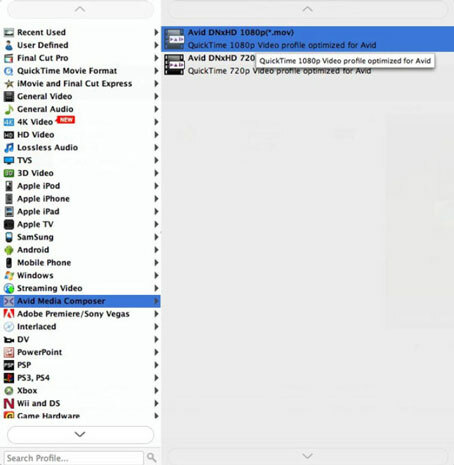 Tap “settings” to customize the output parameters- adjust the video size, bitrate, frame rate, audio sample rate, audio channel, etc to get a decent video for editing in NLEs. Click “Convert” button to start encoding H.265 to the format you set. Once the conversion is done, you can transfer your DJI Phantom 4 Pro H.265 footage into Adobe Premiere Pro(CC/CS6/CS5/CS4), Final Cut Pro(X/7), Avid Media Composer(8/7/6/5) for editing smoothly.